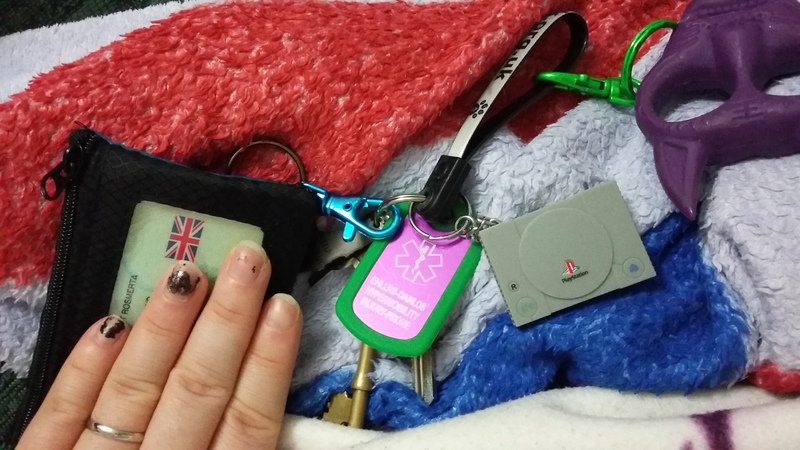 Wallets are one of my weird little interests, much like keyrings. I like seeing what people have done with their wallets. I tend to change wallets every now and then, but I’ve never quite found a perfect one, even though I eventually sewed one myself. 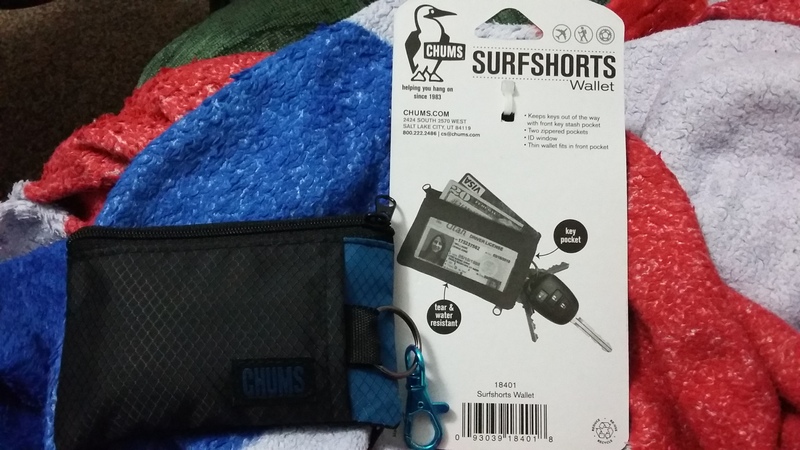 A wallet I’ve been interested in for a few years actually, is the Chums Surfshorts wallet. Originally it seemed impossible to get it to the UK, but it is now on Amazon. New vs most recent wallet. If you like the cushion cover I’m using as a background here, you can get that here. 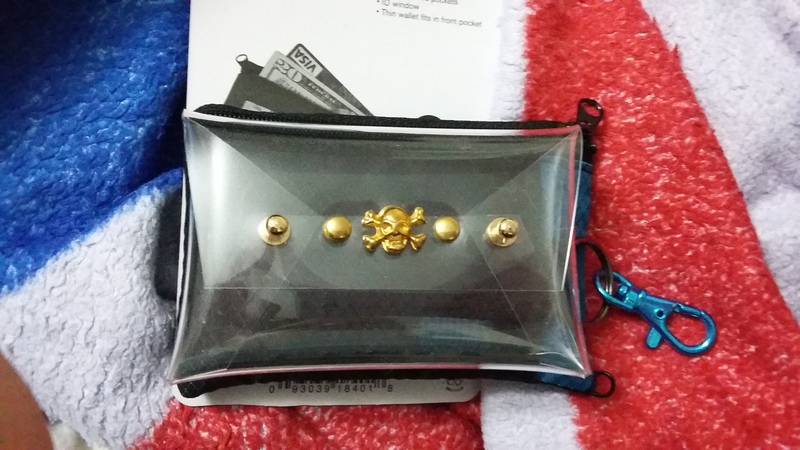 The wallet I was using before the new Chums one, is a clear pouch that came with my clear skull purse. 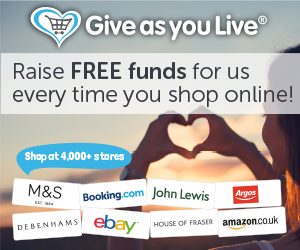 While it is aesthetically pleasing, I found that it wasn’t very functional on the sporadic occasions when I actually get to leave the house and use a wallet at a till. 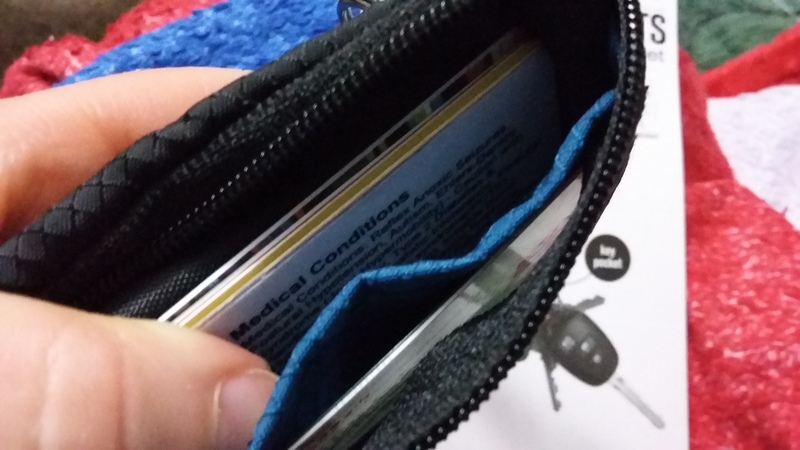 There wasn’t really enough room for my thumb to grip cards or money and slide them out, and also to slide them back in easily. Which is something that makes me feel nervous when there are people behind me in the queue and and I’m sitting there fumbling. 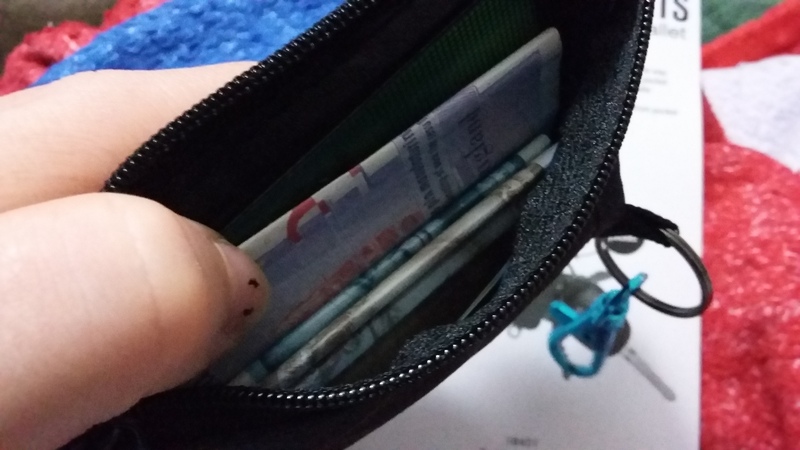 It made me uncomfortable enough that I knew I needed to change wallet. I couldn’t think of any others that I wanted to rotate to that also wouldn’t have some problem. 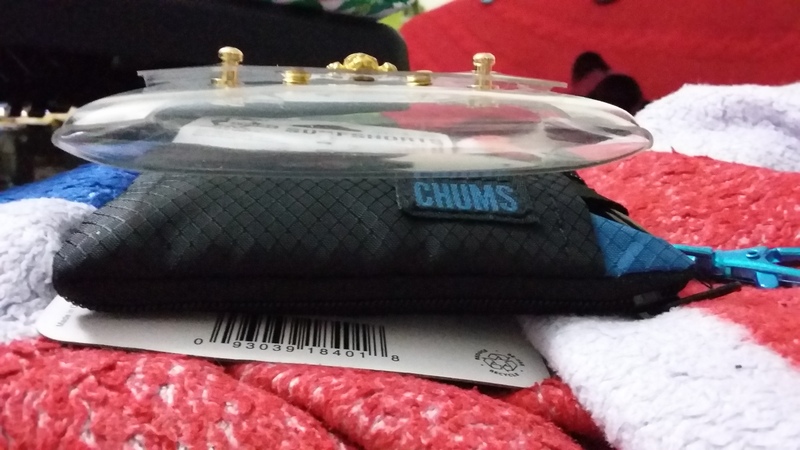 So I decided to finally try a Chums wallet! It took a little while to get to the UK but I was excited when it arrived. Payment stuff in one pocket. Other stuff in another pocket. I attached a blue lobster clasp that I had spare, to the split ring. 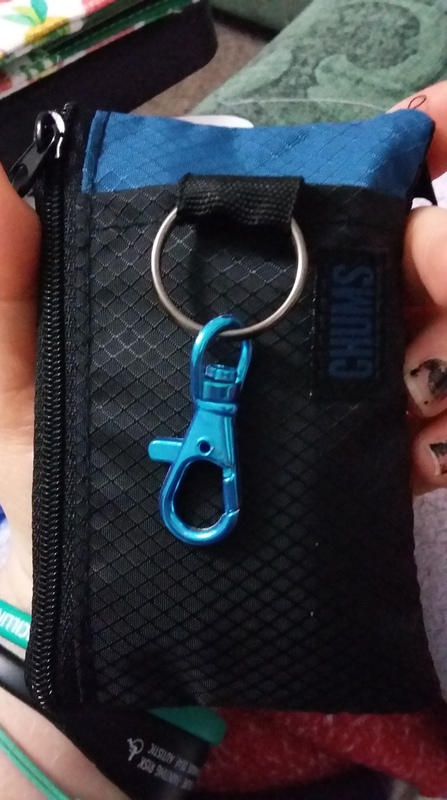 It’s a bit bulkier than the clear pouch, but because it’s softer and has more give, it’s not a problem. You can clip keys to it if you want. And can theoretically tuck them into the front pocket. 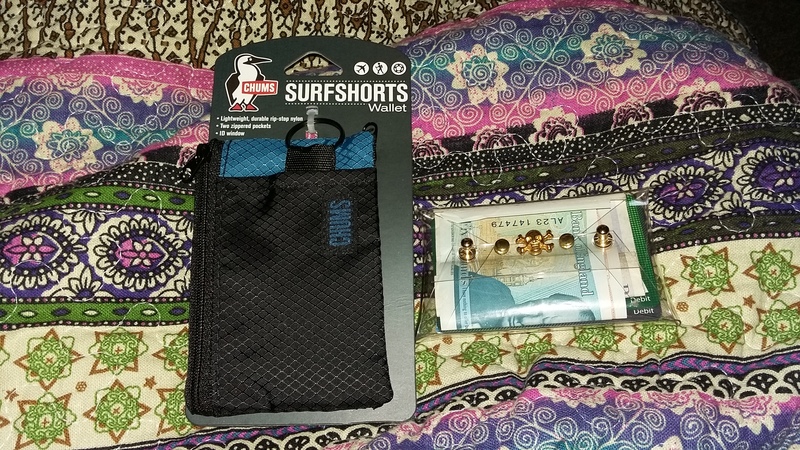 Judging by the packaging photos, this is probably only a good wallet for attaching keys to if you’re the kind of person who just has one or two house keys and no other clutter, otherwise I think that would just be a constant strain on the wallet. And while it is made of ripstop nylon, you still probably shouldn’t push your luck. 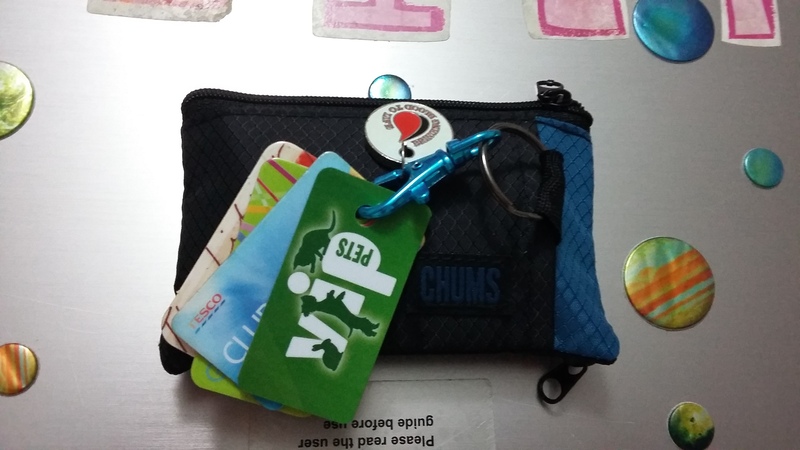 My final configuration: loyalty cards and a trolley fob clipped to the lobster clasp; they can be stuffed inside the pocket if I don’t want them to jingle around in a bag. 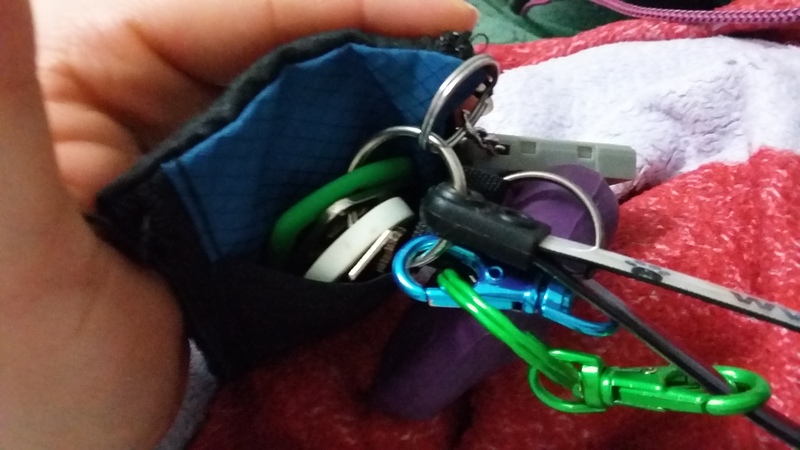 I’ve added some glow-in-the-dark zip pulls to the wallet as well, for maximum reduction of fumbling. It’s much easier to open this wallet and reach into the pockets for stuff, much easier to grip things and pull them out, as well as slide them back in without taking half a century about it. Therefore, it’s my favourite wallet so far in life! Also, as the front pocket is snug enough to hold things that aren’t clipped to it, I think it would be a good place to slide my Oyster card for ease of scanning it on trips to London. The only real improvements I’d suggest to this product, would be the ability to order a custom combination of colours, instead of just the presets they have. But, I’m very happy with mine. 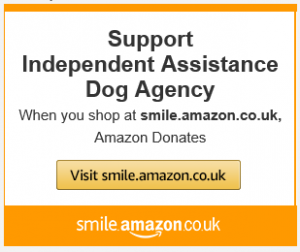 If you start shopping at smile.amazon.co.uk, you can select our charity to support. We get a tiny contribution when you make an order.